Established in 1977, Knight Management is the longest tenured commercial real estate management firm in Maricopa County exclusively specializing in managing real estate portfolios for third-party clients. Our primary objective- to create real estate value through expert management – is achieved by focusing our efforts and expertise on the day-to-day demands and intricacies of property management in order to optimize our clients’ property performance. Our core principle is to deliver exceptional property management services for the best possible value. Our expert team of commercial real estate professionals takes a critical perspective aimed at protecting and enhancing our clients’ assets over the long term. We leverage our knowledge of building operations with proprietary tools and techniques to help owners maximize the full potential of their investment. With over 14 million square feet of commercial property under our management over a span of nearly four decades, the foundation of our firm is built upon high standards of excellence and an unyielding commitment to customer satisfaction. 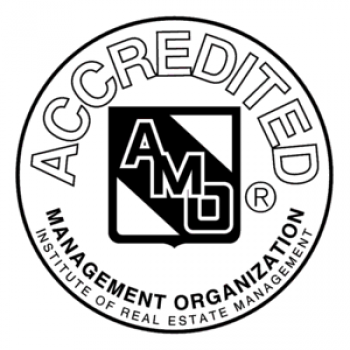 We have earned and achieved the Accredited Management Organization designation from IREM, which recognizes Knight Management’s sound financial footing and highly trained team of professionals. As your service provider, we will customize our approach in the following areas to achieve your property objectives.